The iconic Apple iPod has got at least one more update cycle in its future before being sent to the glue factory, according to new job postings on the company's website. This week's revelation of plummeting Christmas sales saw many media outlets eagerly pronounce the iPod's death, but Apple it seems is getting on with the task of planning for the next wave of devices. The company is seeking to fill vacancies for a 'New Product Operations Program Manager - iPod,' a 'Technical Program Manager - iPod' and a 'Product Quality Engineer - iPod' among other positions. If the company is really winding down the iPod era completely rather than accepting its diminishing role, then it really has a funny way of showing it. 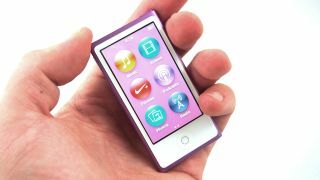 If old release patterns hold true, the company is due to revamp its iPod line at some point in 2014 after only adding the space grey colour to its line iPod nano, touch and shuffle lines during last September's iPhone 5S launch event. The iPod classic, complete with its click wheel UI, hasn't been updated in over four years, but the chances of it getting a hardware bump appear to lie somewhere been slim and none. Apple's line of media players, first introduced in 2001 have been on a downwards sales trajectory since 2008, partly cannibalised by the media capabilities of the company's own iPhone and iPod devices. Sales for the three months leading up to December 31, 2013 fell to six million, a 52% fall year-on-year. CEO Tim Cook admitted the market is declining for the iPod during the company's earning's call. He said: "The way we look at it, our business is a sell-through point of view less iPod - all of us have known for some time that iPod is a declining business." What life is left in the old dog? We're likely to find out sometime later this year.